Your customers are worth more than what they purchase from your store today. If you can retain them as a customer over time, you can gain more profits for your business. This week, Andrew and I have a meaty, and sometimes conflicting, conversation on customer lifetime value (LTV). We start by breaking it down with the basic definition and then share higher level strategies for how you can increase customer lifetime value, as well as some tactics you can implement today. 4:02 How to measure customer LTV (and why it’s difficult to do). 5:52 The first question Andrew has his client’s answer when they ask about LTV. 7:39 Calculating retention rate: why you can only do it if you have a subscription business, and what to look for if you don’t. 8:37 The 3 metrics to increase in order to improve LTV. 10:17 What Native Deodorant is doing during their checkout process that’s driving increased customer LTV. 13:08 The benefit of a subscription business and why you should consider it, even if you don’t think that model is right for you. 18:01 Andrew’s view on how lifetime value can increase by finding out clients motivation points. 19:04 Why Austin cautions against giving using surveys and VIP customer discounts as a way to increase LTV. 20:52 The number one thing Austin now believes is the best option for increasing LTV. 22:21 How utilizing value-based lookalikes and bid optimization on Facebook can increase customer lifetime value. 23:24 A Facebook tactic for increasing LTV that most people don’t know exists. 24:33 A trend Austin believes is going to be very successful for companies in the future. 25:22 Additional Facebook and email tactics for increasing LTV. 28:25 Why cost of acquisition prices are going up and what you can do about it. 31:41 How to boost LTV on the next re-bill using Recharge. Andrew Foxwell: And I'm Andrew Foxwell. Hey, man. How are you doing today? Austin Brawner: Dude, I'm doing well. I've been inspired by you and your tracking, your tracking of time, and so I've been really stepping my time tracking up and tracking all of my work time and been tracking all my sleep time with an Oura Ring that I just bought and am a pretty big fan of. It's interesting how when you start tracking your sleep, the choices you make to improve your sleep. Andrew Foxwell: Right, right, yeah. Well, and actually, I saw your tweet the other day that was "self-care is underrated." It's actually unbelievable what will happen if you get even an extra half hour of sleep. Austin Brawner: It is. It is. Andrew Foxwell: I have found that to be true. Austin Brawner: 100%. When I feel like I'm running ... I never used to really buy into it at all or believe in it. I just thought, drink another cup of coffee and keep going, but no. Having the additional sleep and having more sleep, maybe another hour, focusing on it, not responding to something until the next day after some good sleep, very valuable stuff. Andrew Foxwell: Yeah, I completely agree. You know what else is valuable? Increasing your customer lifetime value. 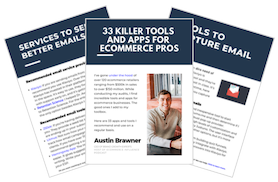 Austin Brawner: Increasing your customer lifetime value is incredibly, incredibly valuable. Andrew Foxwell: King of transitions over here. Austin Brawner: Yeah. It's something we've been thinking about. It's something that has been kind of kicked around and talked about on Twitter. I think that Wilson Hung wrote a really interesting post about lifetime value and cost of acquisition about how that should be the only thing you're focusing on in 2019, and so we wanted to dive into going through two things. Some tactics for increasing lifetime value, 'cause everybody loves tactics, and also going through just some more strategic thinking about it. Andrew Foxwell: Yeah. I think even going into a little bit of the basic definition of how it's calculated, I think, would be really helpful for business owners 'cause a lot of business owners I talk to, they're not totally sure, and I know you've written about this a lot and have some thoughts. So, I think that would be a perfect place to start. Let me serve you, on a silver platter, the question of, how, if I'm a business owner at a core basis, do I measure lifetime value? Austin Brawner: Again, this is one of those things that are not necessarily easy to serve up on a platter, even if you put it on a silver platter. The reason it's not done is because it's difficult, and it's complicated, and it's not necessarily something that you can just say, oh, we know what lifetime value of our customer is 'cause it's gonna be changing and evolving. It's something you can look at over periods of time, especially if you're a fast-growing business and you're changing, you're rolling out new product lines. Your lifetime value will increase over time as people are purchasing more products from you. So, I think that there's no simple plug-in that's gonna help you accurately calculate your lifetime value. You can export customer records, and you can pull information about previous purchases and get a better estimate of what people are spending over time, and look at it over cohorts, and that's one way to go about it to give you a better idea of what your customer lifetime value is over a period of time. Andrew Foxwell: I love it. I mean, I think even hearing that from you is important. There are many different ways to look at it. It's an imperfect science. I think basically when people have asked me this question before ... 'Cause I get this question a lot, which is why we're doing this episode ... The first thing I want to look at is not talking about customer lifetime value, but to me, is increasing or what is your repeat purchase rate? That's really where I start, which is, let's calculate how many people, out of your entire customer base, have ordered from you more than once at a baseline and getting an understanding of that because that is ... Ultimately, if we focus on that and drive up that, obviously, the lifetime values are gonna go up, too. Austin Brawner: Exactly. That's an important metric to look at. Just to go back to that previous thought process, the reason that ... If you're a much larger company, you've been around in business for 30 years, calculate lifetime value is gonna be much, much easier. The reason it becomes difficult is that a lot of the businesses that we work with have only been around for a couple of years and are scaling up very quickly using Facebook advertisements, or on AdWords, or a combination of podcast advertising and they're growing really, really quickly, and they're rolling out new products consistently. That's what makes it hard to calculate lifetime value. If you're a larger company that's been in business for a long time, it's relatively easy to look back at your customer records and get an estimate of how much people are gonna spend over what period of time. That's why it's difficult. To go to your point of calculating the repeat purchase rate, if you look at the ... There's the idea ... And we've talked about this in a previous episode with Peter Fader, people are always looking at retention rate in their business, and it's a question that came up in the membership recently. Well, how do I calculate retention rate? Well, like Peter Fader said, retention rate ... If you don't have a contractual relationship with a customer, there is no such thing as retention rate. You don't have a retention rate if you're non-contractual or not on subscription. If you have a subscription, you can calculate the retention rate, but if you're not on subscription, you cannot calculate the retention rate. It doesn't exist for you. So instead, you would look at, basically, active customers over a period of time, and so you could look at the total number of active customers over 90 days in 2018 versus 2017 and get a better idea. Are we adding active customers? What percentage of those are repeat purchasers, to get a better idea if you are making progress and reactivating customers. That's a better way to approach it than looking at something that doesn't exist for you if you're non-contractual, which is looking at retention rate. Andrew Foxwell: Everything that I do, my baseline is mildly viral. Okay? Andrew Foxwell: If it gets one fav, that's mildly viral at this point. I'm just saying, but you talked about Native Deodorant. I mean, which, if you haven't seen his Twitter thread, we'll put it in the show notes. It's truly Austin's, I would say, really genius mind on this of going through and looking and saying, "How do you look at the fundamentals that lead to an increased average order value looking at exit intent, looking at the product page, and incentivizing subscriptions?" Can you talk more about some of these things that they did that really impressed you in terms of the way they were thinking about this to raise average order value, and therefore, lifetime value? Austin Brawner: Yeah. Just to go back to the initial thing you mentioned, which is really important, is that if you want to improve lifetime value, there are only three things, metrics, you can increase. One of them is gross margin. That means, basically, you would improve your gross margin by reducing costs of goods sold and improving your margin on the goods that you sell, which isn't gonna be a marketing thing, really, but increasing number of purchases, so what we talked about a little bit, repeat purchases, or increasing average order values. The reason I focused on Native Deodorant was because they do a really incredible job of increasing average order value during the checkout process. Now, if you go to their site and you do a checkout, it starts out where they have an exit intent pop up that just gives away, potentially, free deodorant. You have a chance to win free deodorant for a year, a very low cost for them to be able to give away 12 sticks of deodorant over an entire year, very, very cheap, but very effective. People can look at that, and it's a reasonable offer for people. So, they have a good offer right away. Then, on the product page, you have two options. You've got a one time purchase, or you can subscribe and save 17%, really, really clear offer that they're doing. So, let's say you take the single purchase. Immediately, there's an upsell on the product page trying to upsell you into taking a kit, which is three deodorants, and their value proposition is, okay, you selected this one. Get two other top flavors or top ... Not flavors. You're not eating the deodorant, hopefully not. Andrew Foxwell: Interesting new marketing idea, though, edible deodorant. Austin Brawner: Exactly. I mean, isn't Native Deodorant supposed to be toxin-free? So, potentially could go down that path, but anyway, two other scents. So, it would immediately bump your average order value if you take that from $12 to $30. If you take that, great. Moves you to the next page. You're now at $30 instead of $12. On the next page, the cart page, they do an incredible job. If you buy men's deodorant, they're targeting you with women's deodorant below it. It's like, add this to your morning routine. If you're buying women's deodorant, they're targeting you with men's deodorant. You get a second cross-sell on the cart page, and then post-purchase, once you make the purchase, they're upselling you. Actually, it's considered a cross-sell. They're cross-selling you with a travel mini deodorant for additional $3. So, their whole process is really, really smooth, and it's designed to increase average order value right off the bat so they can go ahead and hopefully spend more to acquire customers and continue to grow. Andrew Foxwell: Yeah. I mean, I think that it has a couple of the core components that they're raising the AOV. They're selling options that have better lifetime values or raised lifetime values. So, they're saying these are naturally, things that you would want to get together, right? You're gonna buy one type. Why not get a travel one? I mean, $3 is not something. And, they're giving you the subscription option, which, I think this is another big theme of the year for us thus far, which is talking about, how do you build in some sort of a subscription model? I don't think that people ... A lot of times, I'll bring this up to a client. They'll say, "Well, no. We're just not really a subscription type of business," but you might be, actually. I mean, subscription businesses, and if you build it right with your core customers, that can be an incredible way to, obviously, have a subscription business, but it can also be an incredible way to take the pain out of a customer coming back, shopping, and you blasting them with this many emails. Andrew Foxwell: It's a convenient option if you like the clothes that they have. Have something in it that says, "Look, send it back any time if it's not what you like, and we'll stop the subscription for that month, but if you take it, the cost of that subscription goes towards the product," or whatever, like a StitchFix type of model. That, to me, makes a lot of sense because you're interested in it, anyway. You're like, I might as well give it a shot just to see what it's like, and I know I'm gonna get some fresh new stuff. Austin Brawner: I think your point about people saying they might not be a subscription type business, there's a good breakdown of ... There's really four quadrants you can fall in when it comes to building a direct to consumer business. If you look at a map of on one end of the axis, businesses that are very, very susceptible to subscription businesses ... The idea of Harry's Razors or Dollar Shave Club. That's a natural subscription type product. Then on the far other ends, you got a company like MVMT Watches, not a natural subscription product. Both companies have scaled and grown, but they have had to approach it in different ways because of their propensity for being subscription, and on the other side, a lack of propensity for being subscription. If you want to scale up and grow your business and you're in 2018, or now we're in 2019 ... Look, I've lost an entire year there. In 2019, the problem is that if you don't have a subscription element to your business that's gonna be generating an increased lifetime value, then you gotta have a really high average order value. Austin Brawner: And a high margin, and hopefully, the ability for repeat or complimentary purchases, but Harry's, on the other side, it's low average order value, relatively, I don't know, medium margin, but it's recurring and can last for a long time. So, they have the ability to scale where MVMT side, high average order value, high margin, not recurring. They gotta drive a lot of that initial revenue in the first purchase because they can't lose money on that first purchase where Harry's could lose money in that first purchase and probably be all right. 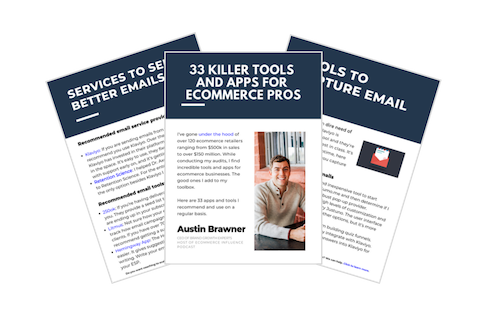 Austin Brawner: But, my whole point in this is that just because you don't think that you're a subscription type business ... If you don't think you're subscription type business, I challenge you to think outside the box. Think around a Pura Vida type bracelet model where they build Pura Vida, a curated box for a really not subscription type business, a bracelet business, that becomes a really big part of their business, or to think, how do we increase average order value by bundling our products to get to the point where we can actually grow because we have a high enough average order value and lifetime value to be able to invest in our customers? Andrew Foxwell: I totally agree with you on all those things, and you have to be able to ... This goes to what we've said before, which is tactically on Facebook and Instagram advertising, it is very difficult for me, as a Facebook advertiser, to make it work if your average order value is under $35 or $40. It's just really difficult. I'm not saying it can't work. There's a client that, actually, I've been coaching, and theirs is very, very low. It's like $12. They sell reading glasses, but people buy multiple pairs because it's so low, so that brings it up, but that's one of their products, and so they have a lot of incentives to, obviously, repeat purchase, et cetera. So, it's very difficult to make that work. I think that goes to what we've talked about because the competition is going to continue to increase. On a high-level tactical standpoint, let's just get into that a little bit. You can introduce like we said, the subscription program. You could do something like surveying your current customers via Messenger, a direct email, or even a phone call to bring up lifetime values, learn what they're doing, dive into those really, really MVP customers, and find out what their motivation points are. One client I work with, every single one of their massive VIPs, which I think he said they have 40 of now, these are people that have ordered three or four times over a certain dollar amount per year. Each one of them, they have their own 15% off discount code for that customer. The discount code is not whatever you give out to other people. It's like you know that they're gonna be asked about it, so then the discount code is FOXWELL20 or FOXWELL15. I mean, that's the kind of personalization that I think is kind of interesting on high-level tactics. Anything else to add to that? Austin Brawner: Well, I would actually argue that a flip side of that, that I used to think that that might actually have an impact on increasing lifetime value. At this point, I would say, besides introducing subscription program, I would argue that both of those things are, both interesting, cool customer service and customer support ideas, but I would argue that they probably won't increase lifetime value. The reason why I don't think they would increase lifetime value is because when you look at your best customers, all those people are not price-sensitive. They come in with the propensity to spend a lot, and if they have a good experience with you, they will continue to spend and be a big part of your revenue going forward. But one thing I would caution around is offering discount codes towards the highest level customers because, often, those people aren't necessarily motivated by discounts cause they're the highest level. And, at the same time, surveying customers via email, Messenger, I think that there's value there to learn more about that specific customer, but I don't know if it would increase lifetime value. It's a tough thing to say, and a lot of people in our industry, including myself, have been saying, "Okay, you can increase lifetime value by following up with customers, by doing all these types of things," but the more I read and the more I have experienced, I don't see those things increasing lifetime value. I see acquiring better customers as your best option for increasing lifetime value, and then doing all the fundamentals right around that, like sending replenishment emails, sending follow-ups around the times they should be making purchases, but kind of avoiding, as much as you can, the discount codes towards your best customers because they're probably gonna buy anyway. Andrew Foxwell: Yeah, that's a good point. I think the reason that I brought it up, and here, everybody is getting an inside peek into the dissension, and the ranks, and the arguments that Austin and I have, I think, is ... To me, it's about them spreading the message, but I think you're right. You don't want to give them a discount code 'cause that's not necessarily gonna do much more for you. I guess more of what that as a tactic would do is help you to gain more customers, not necessarily increase the lifetime value, which is, you're right, kind of a difference. A lot of the tactics that I use on Facebook when we talk about lifetime value could probably fall maybe some in the lifetime value creation or adding on to that and could fall into some of it kind of like getting new customers, potentially. Austin Brawner: Well, I would say going right to ... I mean, one of the things that you have been is 100% lifetime value-boosting is utilizing your value-based lookalikes. That is something that would 100% attract better customers. Andrew Foxwell: Yeah. There are two different things here. There's value-based lookalikes, which is now what Facebook is utilizing off of the creation of lookalikes, saying, "Hey, we have pixel data. Do you want us to create these lookalikes off of those that spend more,? which is one option. Another one is for those that have it in the US and in the UK is value optimization, which is a bid optimization, not an audience optimization. It's literally called value, and you're able to bid on that, and we've talked about that before on this podcast, and of course, on that lookalike note, too, utilizing high-value lookalikes, so downloading your best customer list and uploading them and creating lookalikes from that, those are what we call static lookalikes, not dynamic, not based off of the pixel. That's another really, really good idea. One thing that I would say, looking across Facebook tactics in terms of increasing lifetime value that almost no one does, that a lot of people don't know exists, is creating product sets in your dynamic product catalog, and this is gonna get deep for just a second, but bear with me. You can go within your product catalog and create sets. Sets of products would be by category, or by brand name, or whatever you want it to. Then, you can utilize two different features within dynamic product ads, and you can do cross-selling and upselling. One of them is that they've bought from a particular collection, and you're showing them from something else, and then the other one would be that they've viewed something from one collection, and you're trying to upsell them into that. There's cross-selling and upselling, which you can use in terms of taking things from different product sets in your catalog and advertising those to people to try to get them to buy more. Austin Brawner: Massively underutilized. I don't think I've ever seen anybody doing that. That goes back to kind of like an overall trend in companies that I see succeeding in the future is curation. Being able to curate and put together a set of something that makes sense. Those people don't really want to have to choose. I would say the vast majority of people would want something to look good in the, say, clothing, for example. They want a set of clothing that looks good together, versus having to go through the process of putting it all together. And so by just putting it together in a set and curating it, a great way to increase average order value and increase lifetime value. Andrew Foxwell: Totally. I think it's clear, important I want to create a couple definitions there really quick. One is, the product set is actually just, yeah, it's a set of products, and yes, they will display however you want them to. You can look at one collection, see the other. Then, there's also the idea of actually advertising an entire set of products. Now, that's not the product set, but you could take, basically, a shirt ... You could take an outfit and you could sell them all together. This would be like Native selling three deodorants and that being the thing that they lead with. They're selling the set of those things together of three different flavors, edible flavors, and so that's what that is. That's an important thing, 'cause actually, like a year ago, I didn't know that. I was kind of confused on what they were. That's pretty cool and pretty important to look at that, and you can use them in different ways. We'll put resources in the show notes if you are curious about this of how to get into it, but yeah. That's a big one. The other final one that I'll mention on Facebook tactics that I don't think a lot of people do is many of us might advertise through our previous customers, but doing something like a, "We really miss you," high discount ad, and I know you don't want a discount, but bringing them back into the fold for people that have not been to your site in a while or maybe they haven't purchased in a while, and bringing them back in with some sort of incentive. Maybe it's a complimentary product, which would be, of course, the most complicated way to do it, but even at a minimum, most of the times, we'll advertise people that have purchased previously all as one chunk, so either looking at separations by time to bring them back or looking at them by separations by product type to try to compliment those, which that's just something I rarely, rarely see. Austin Brawner: Sure. I think it's because it's a little bit complicated to execute, and often times, the audiences that people have are too small to execute that in a way that makes it viable. If you're looking at a period over, say, 30 days, 180 days after someone makes a purchase, sometimes that audience can be quite small, but for the larger businesses, that's a great, great avenue and path for them to go down, same thing with email, following up, the exact same thing. You should have the same messaging with an email to people down the road if they haven't made a purchase, to follow-up and see if we can incentivize that last purchase. Austin Brawner: Going back to just briefly touching on this, 'cause I thought it's an interesting point, 'cause when you were initially explaining it, I didn't understand the difference between what you were saying about sets, DPA sets and actual sets on your website. I just feel like that continually raises itself as an opportunity for a lot of businesses that I've been working with or doing audits for, is bundling, putting products together and curating as a way to be able to compete as the cost of acquisition prices increase. Austin Brawner: It's like, how do you figure out what to do in 2019 as these cost of acquisition prices continue to go up? It's trying to be creative around how you put together an offering that your customer is interested in, that serves their needs, and that continually increases lifetime value because that's the only way that you're gonna be able to compete as a lot of money gets dumped in from traditional players that haven't really been spending as much money on Facebook and Instagram as these newer ones. I just talked to a company who was acquired ... I was talking to the Director of Marketing. They were acquired by General Mills. This company was acquired by General Mills. Now, General Mills owns the company, and they've had a massive retail presence. The idea right now, in General Mills headquarters, they're trying to figure out, okay, we know we can take a company and we can pump it into every Whole Foods, every HEB across the nation and grow it that way, but they're also realizing that there's an opportunity to dive in direct to consumer. They're shifting their marketing budgets now away from as much of the Whole Foods in-house marketing, Safeway, whatever, HEB marketing, towards direct to consumer 'cause they realize that the smaller companies have traditionally been winning in the online direct to consumer space. They don't want that to happen anymore. They realize that some of these companies are eating their lunch on the direct to consumer space, and they see that as an opportunity, and so we're gonna see a lot more money being dumped in by these big companies and continue to raise the cost of acquisition costs. Andrew Foxwell: Yeah. I'm glad we're kind of taking different turns in this episode because I think a lot of times, the podcast that we do, the episodes we do are more templated and we have an idea of what we're gonna say. I think that Shane, who edits our podcast, he always says it's more interesting after you stop recording or it sometimes can be more interesting. I think these are the types of conversations you and I have all the time. I think that's very, very true, and that's a huge threat. I, frankly, don't know ... I mean, tactics, in terms of the Facebook tactics of how we're going about it, we can continue to have better ad units and things like that, but I don't know how you compete in 2019 without thinking about, like we've said many times, subscription and thinking about selling those things as "sets". But, there's just so many opportunities that many people haven't thought about because even from a SKU standpoint, technically, it would probably be a pain, but you're going to have to do it if Facebook and Instagram are gonna be still a vehicle for you. I think that's really, really important to mention. Austin Brawner: One more thing to dive into where you talked a little bit about opportunities and things that people are leaving on the table. We talked about subscription and subscription being an option. One area where people are leaving a lot on the table with a subscription, there's been a lot of focus on getting people to subscription, but not a lot of focus on increasing average order value on a subscription, re-billing after the initial re-bill. I don't know how long ago it was, maybe a year and a half ago, two years ago, I saw an email on Really Good Emails from Harry's where they would send out an email before it shipped out that said, "Your product is shipping now," or, "It's shipping soon. Would you like to add anything to this order?" You can very easily dump an increasing average order value on a re-bill subscription. Until recently, it's been really hard to do that, impossible. Wilson Hung, who also wrote an article that inspired this conversation, he started a company called Get ARPU, which allows Shopify businesses who are using Recharge to actually send out a pre-shipping email and then allow people to add stuff to their order before the next subscription shipment goes out. Does that make sense? Andrew Foxwell: Yeah, it makes total sense. I love that. I think that's a great idea. Austin Brawner: If you're using Recharge, it's now possible. You can do it. You can go and sign up for this, and they'll set it up so that you can have people boost their average order value on the next on the re-bill. Andrew Foxwell: Cool, cool. Well, I have found this very interesting and a good discussion, and hopefully, the listeners feel the same. Austin Brawner: Yeah. It's definitely rambling, and we were kind of ranting a little bit, but it's a lot of fun. Hopefully, this was helpful for you guys. If it was, we'd love you guys to head over to iTunes and leave us a review. If you've been listening to the podcast for a while, the podcast is growing. It's growing, in part, because of your help, writing reviews, and sharing it with people who you think would find it interesting. Have a great day. We will talk to you in the next episode.